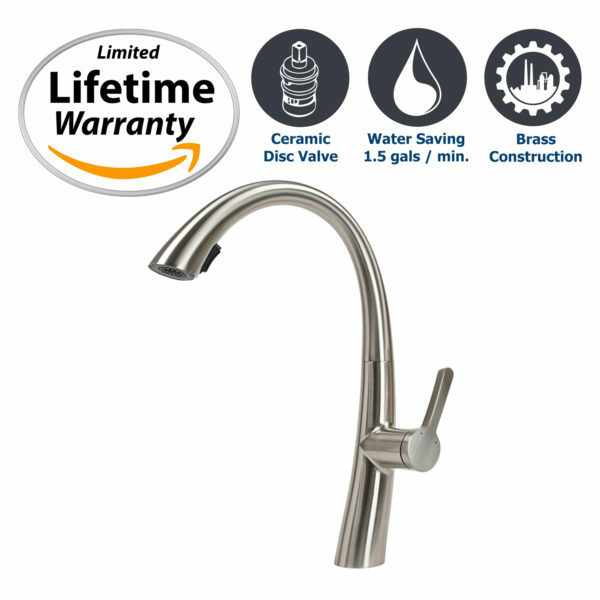 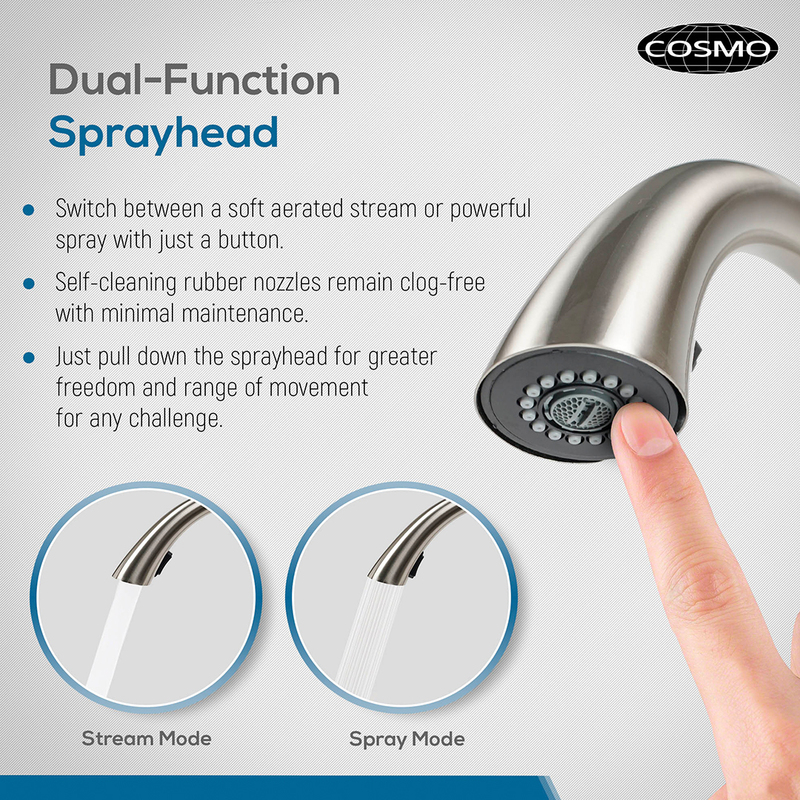 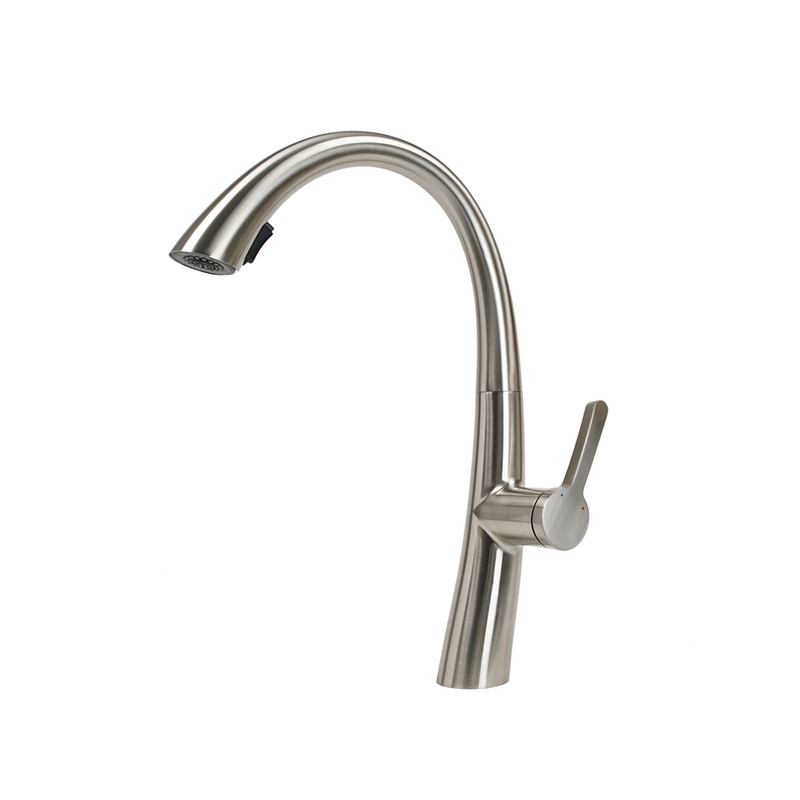 Cosmo Kitchen Faucets presents this modern designed faucet with ceramic disc valve, pull down sprayer, 360° swivel spout, and brushed nickel finish. 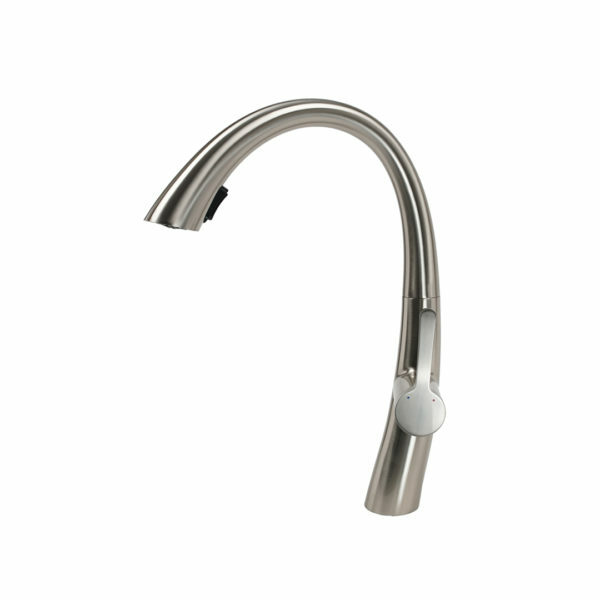 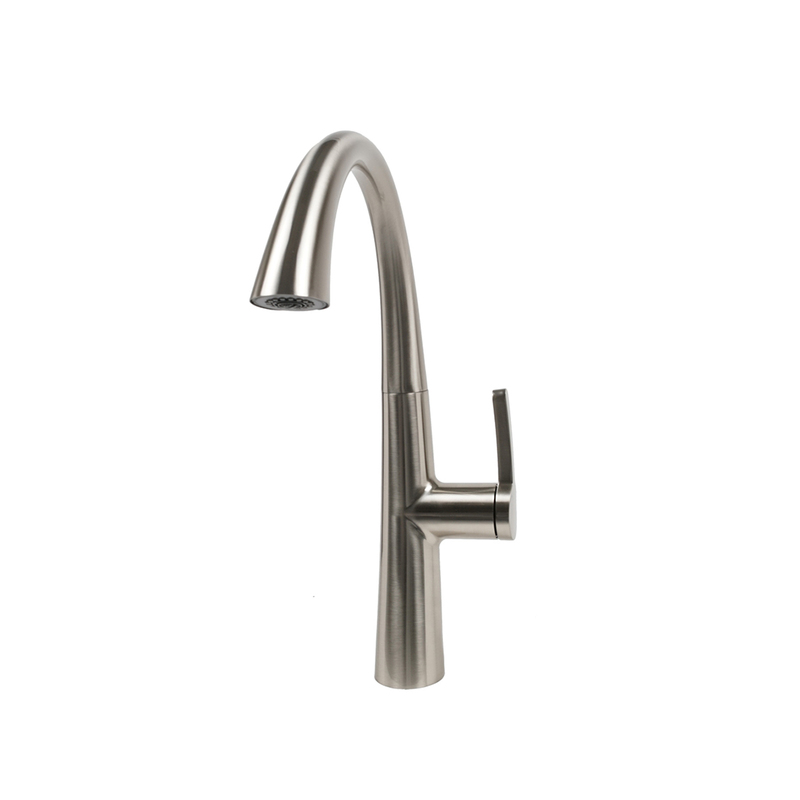 Simply stunning and modern, Cosmo’s COS-KF863SS kitchen faucet deserves a place in your kitchen. 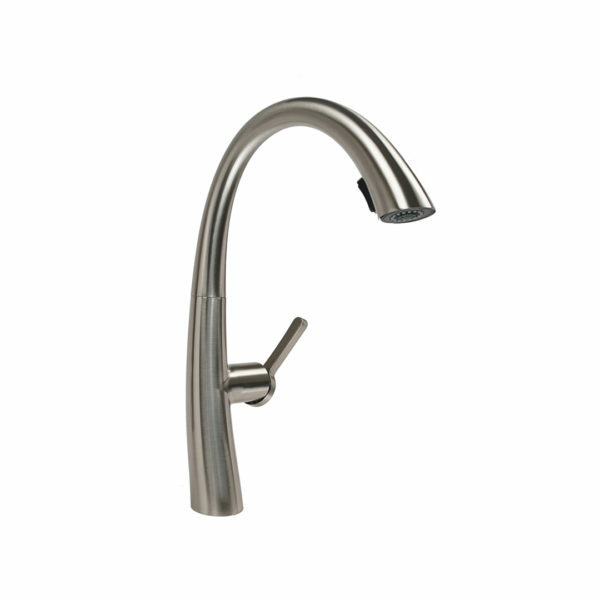 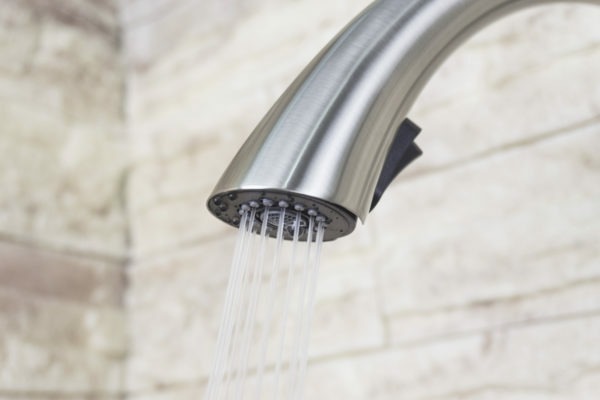 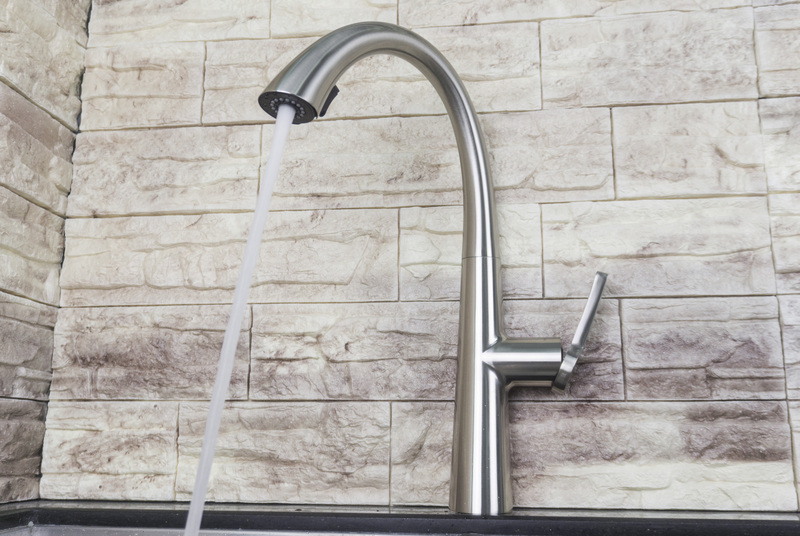 A beautiful satin finish is both eye-catching and designed to be stain and tarnish-resistant for all types of water. 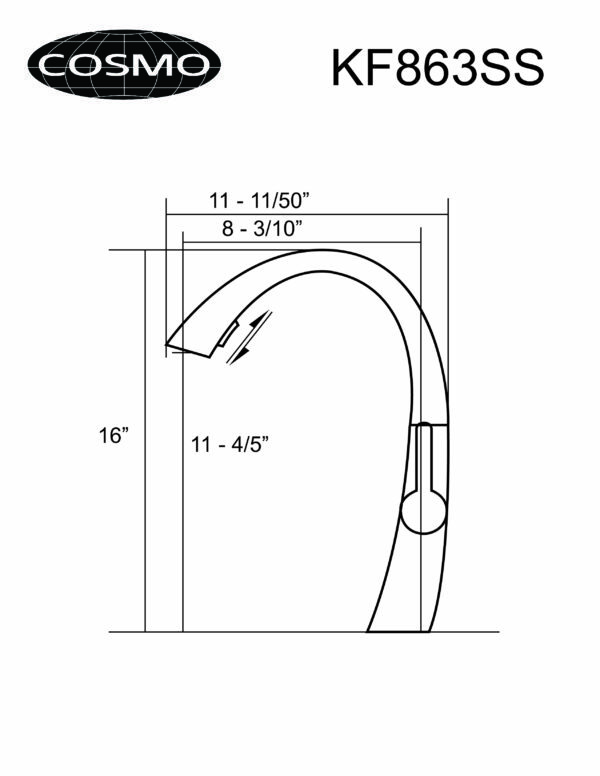 Easy docking allows for quick utility at a moments notice for dishes or watering. The generous sized hose lets you work in the kitchen with greater freedom and mobility. 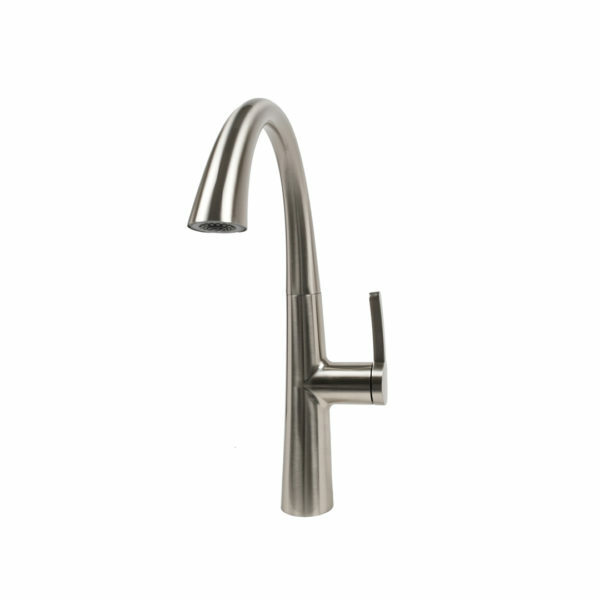 Its matching lever keeps a modern uniform design for the latest kitchen decors.